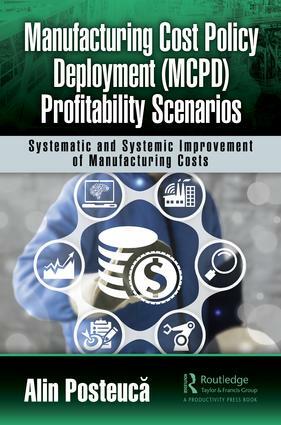 This book shows how to consistently achieve annual and multiannual manufacturing profit targets, regardless of the evolution of sales volumes, increasing or decreasing using the Manufacturing Cost Policy Deployment (MCPD) system. Managers and practitioners within the manufacturing companies will discover a practical approach within the MCPD system that will help them develop and support their long-term, medium-term, and short-term profitability and productivity strategies. 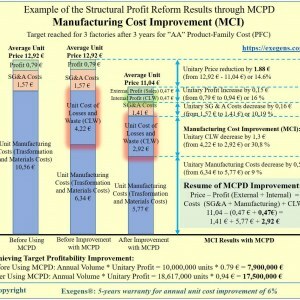 The book presents both the basic concepts of MCPD and the key elements of transforming manufacturing companies through the MCPD system, as well as supporting the consistent growth of external and internal profit by directing all systematic and systemic improvements based on annual and multiannual Improvement of Manufacturing Costs (MCI) targets and means for each Product-Family Cost (PFC). 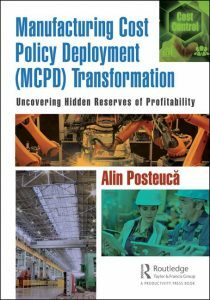 This book is unique because it presents two types of systematic and systemic improvement projects for MCI that have been applied over the years in various multinational manufacturing companies operating in highly competitive markets to address consistent cost reduction of Losses and Waste (CLW). 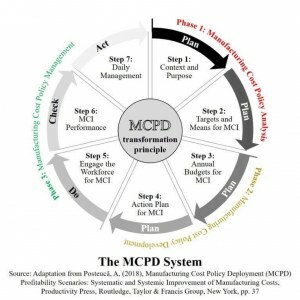 "There are numerous structured approaches to productivity improvement available - and countless consultants who help you apply them. However, reality is never quite the same as the scenarios painted by these consultants or the purveyors of the tools and techniques. The theory is usually great; the practical application is less certain. 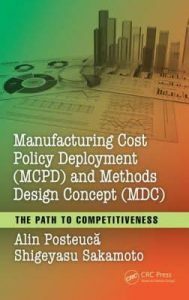 Most approaches are relatively superficial, provided in outline only … requiring the reader to uncover the flaws and failings, the practical difficulties of interpretation and implementation. This book is different. 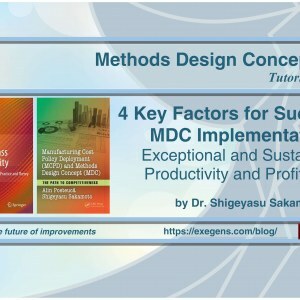 Firstly, it acknowledges the fact that people find implementation difficult so it approaches the situation by focusing on a number of specific scenarios --some involving growth, some involving decline …. and takes the reader through the detailed application of MCPD in these scenarios. 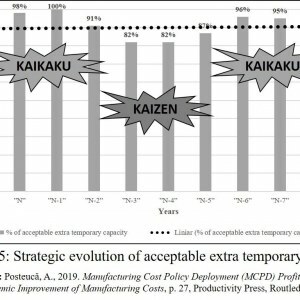 The author’s experience as a lean manufacturing consultant has clearly shaped his approach to the development of strategy and practice - no bad thing obviously … but he has added his own thoughtful and thorough approach on top to provide a ’system’ capable of providing real improvements in manufacturing productivity and profitability. The book is detailed and peppered with abbreviations - sometimes making it quite a ‘hard’ read. 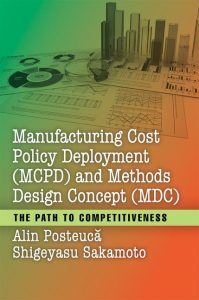 It is also generally a book that suits readers not afraid of quantitative approaches and the application of mathematical formulae. 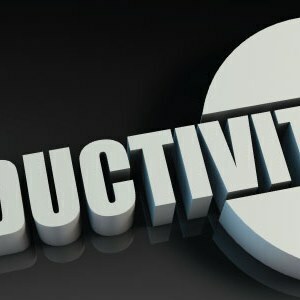 However the author also recognizes that improving productivity via a structured, quantitative approach also brings intangible benefits. It is worth persevering with the detail to uncover the underlying principles and ‘truths’ that will allow you to ‘make a difference’."